FEATURES: Approximately 10 acres of commercial zoned land along the rapidly developing Highway TX-29 (West University Ave.). 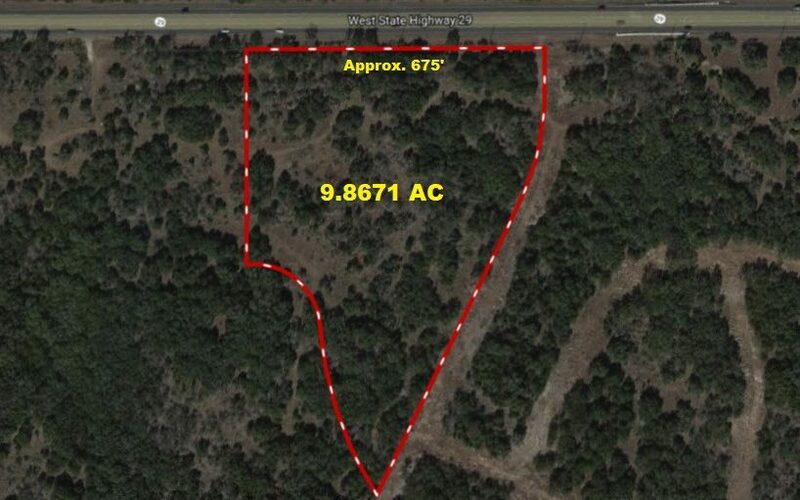 The property has approximately 675 feet of frontage on TX-29, and is located less than 3 miles west of IH-35. This commercial site is strategically located at the entrance of the Riverview Community that is currently under development for 676 residential lots. A monument sign for Riverview will be constructed at the northeast corner of the property, and will also provide signage space for the commercial site. There are approximately 13,000 residential lots under construction or being planned along the West University corridor.